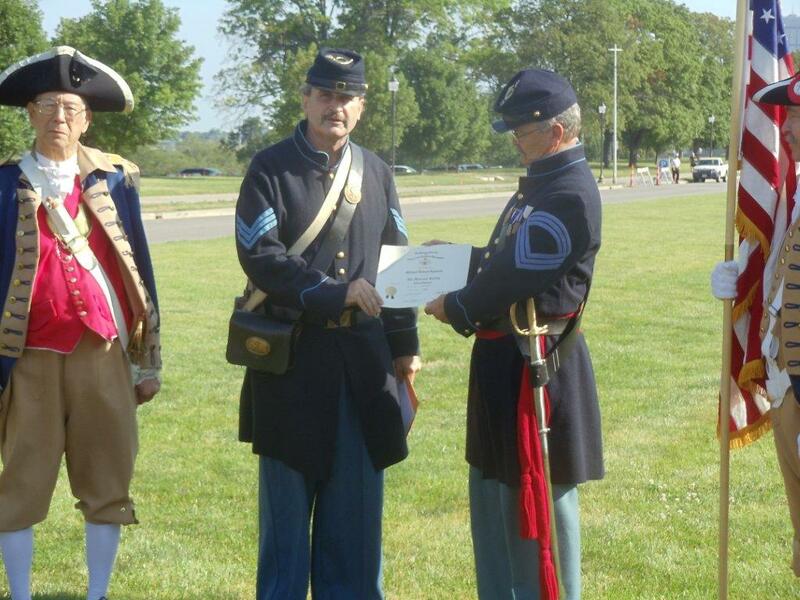 The Harry S. Truman Chapter inducted Compatriot Michael Lundeen at his Membership ceremony at the Liberty Memorial on Memorial Day, Monday, May 28th, 2012, in which President Dirk Stapleton presented Compatriot Lundeen with his membership oath and membership certificate. Compatriot Robert Grover acted upon behalf of sponsor David McCann, in which he pinned the NSSAR Rosette to Compatriot Lundeen‘s lapel. In addition, Compatriot Michael Lundeen was asked to provide a few words on his patriot ancestor, Amos Thatcher. 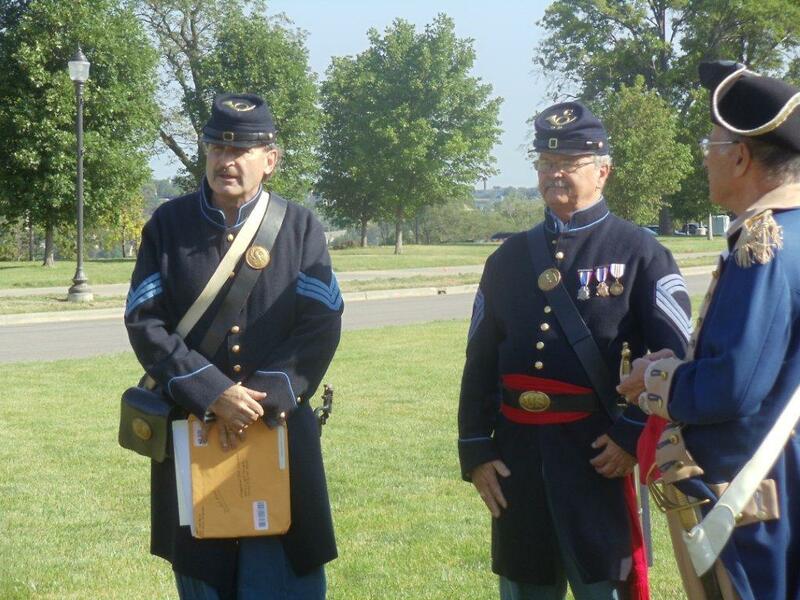 Both President Stapleton and Compatriot Lundeen participated with the Westport Camp #64 Sons of Union Veterans of the Civil War on Memorial Day. Compatriot Lundeen is the Westport Camp #64 Camp Commander. Compatriot Michael Lundeen stated that he was very proud about being installed into the SAR. Also after the ceremony, Compatriot Lundeen was given a chance to tell us about his Patriot Ancestor, Amos Thatcher. Please help us welcome Compatriot Michael Lundeen as the newest member of the Harry S. Truman Chapter. Left Photo (L - R): President Dirk A. Stapleton, Compatriot Michael Lundeen and Major General Robert L. Grover, MOSSAR Color Guard Commander. 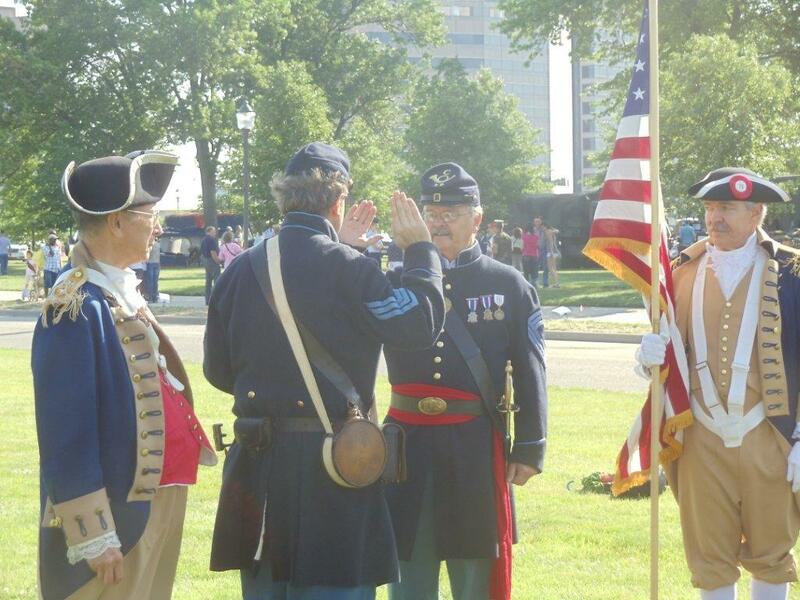 Center Photo (L - R): Major General Robert L. Grover, MOSSAR Color Guard Commander; President Dirk A. Stapleton, Compatriot Michael Lundeen and pending new member Jack Quint. Right Photo (L - R): Major General Robert L. Grover, MOSSAR Color Guard Commander; President Dirk A. Stapleton, Compatriot Michael Lundeen and pending new member Jack Quint.